*If using dry ginger powder use 2 tblsp of dry ginger powder. 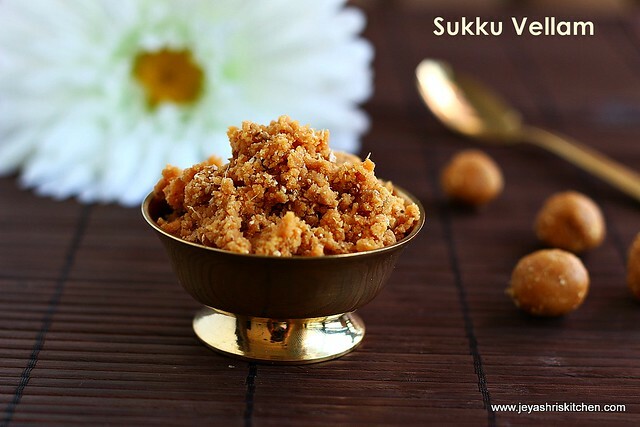 If using sukku powder just pulse the sukku podi and jaggery in a mixer. If using a piece of sukku just pulse it in mixer . Add the jaggery to this and pulse it once. 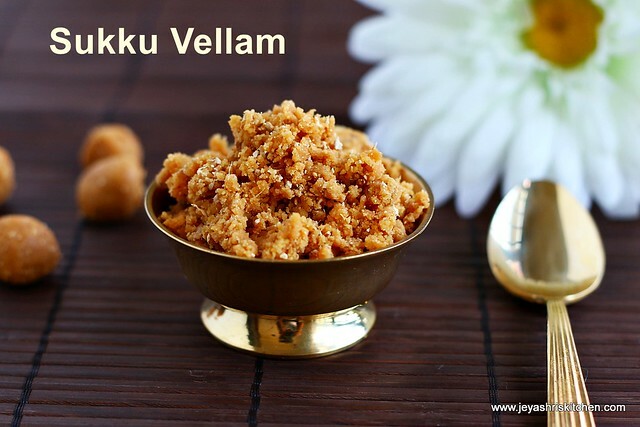 Sukku vellam is done. You can either make it into small balls or keep it as such too. You keep this Sukku vellam also for Neivedhyam. Do not consume it more in a day. 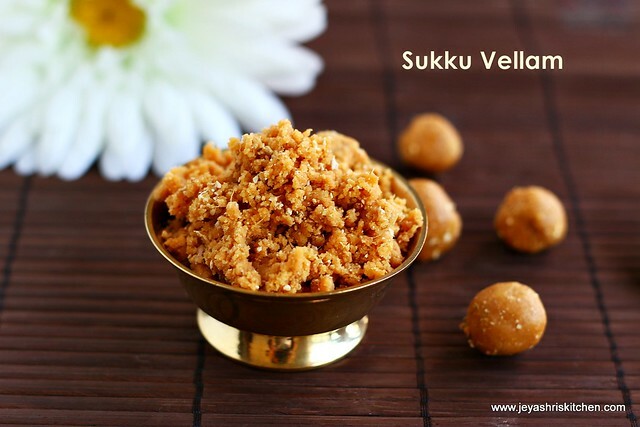 Sukku will cause tummy ache if consumed too much in a day. Very nice. Glad you gave that bit of caution about not consuming too much of it. I did once and suffered the consequence !